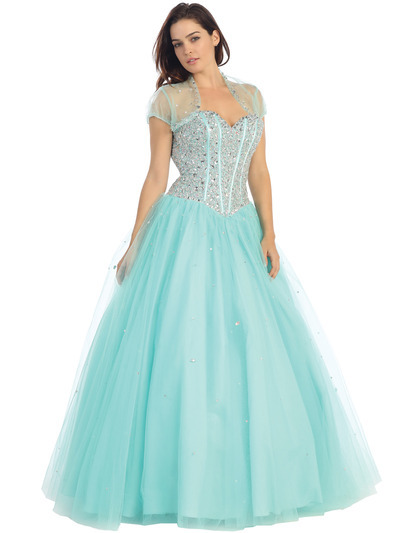 Fairy Tales Sparkling Bodice Princess Gown | Sung Boutique L.A. This dress is proof that fairy tales do come true! 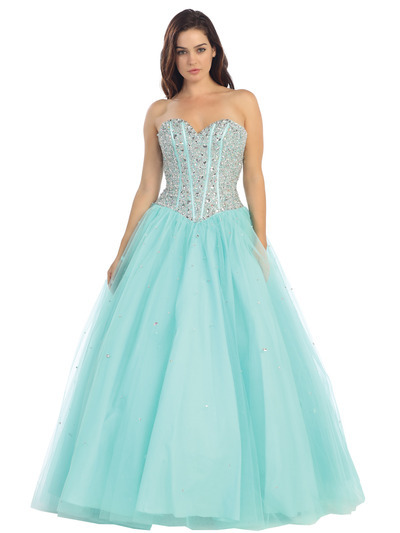 It’s fitted, jewel embellished strapless bodice creates a narrow, focal point on the body. Its full, skirted bottom flares effortlessly out over the bottom half of your figure, thanks to its subtle tulle and satin overlay. Accessorize with the sheer shrug to complete your fairy- princess look!